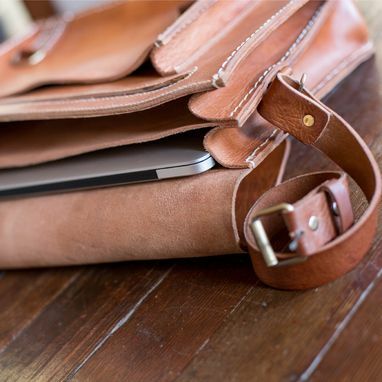 This handmade leather messenger bag was created in the great state of California. 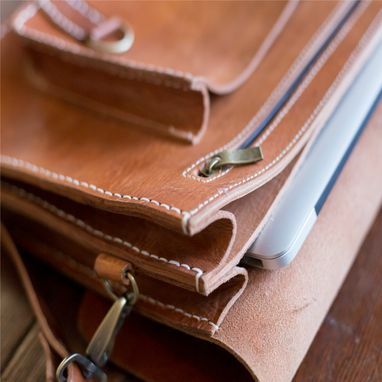 It is made of 100% full grain cow leather which creates a wonderful thickness and durability. The front closures are brass clasps that make it quick and convenient to use. The leather will continue to build character with time. Each day you use this bag, more color tones will change natually from the moisture in air. You can always speed up this process by using a leather conditioner. It is 17 inches wide by 11 inches tall with an expandable depth of 4 inches. 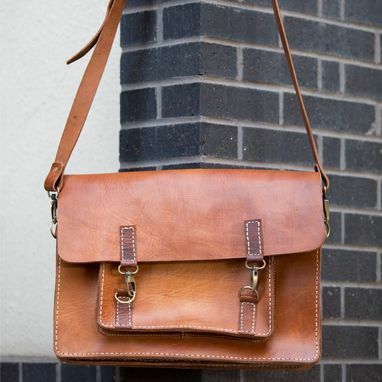 This bag is sure to catch some glances! 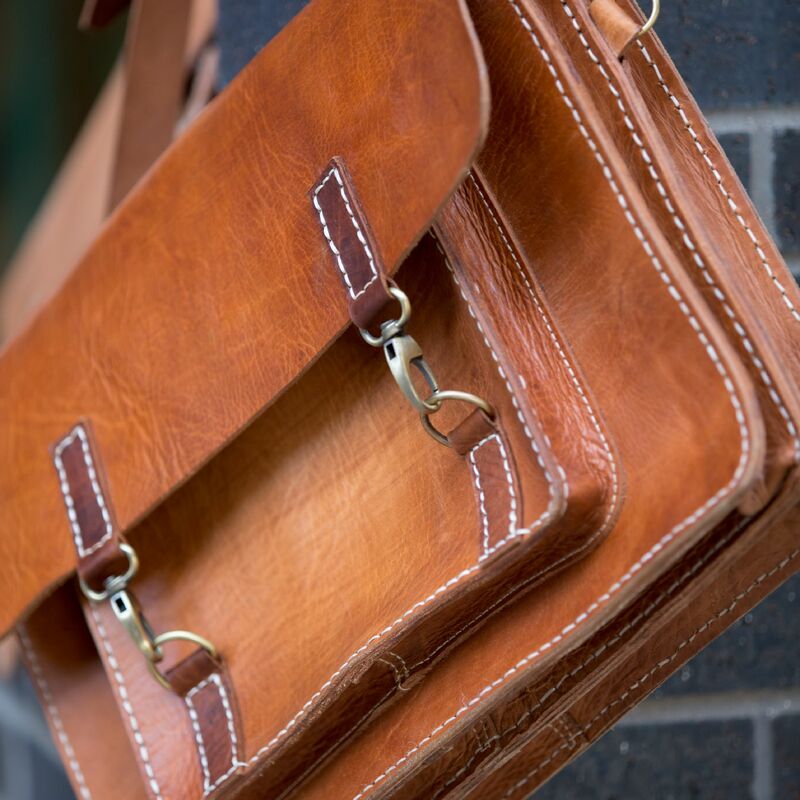 17" by 11" by 4"
Great Bag appears to be well made and of great quality.